I thought I'd test out the new forum software and post a recent pic of my three guns I use in Bullseye matches online. I am glad to see Kalifornia still allows you to own those things. Nice! 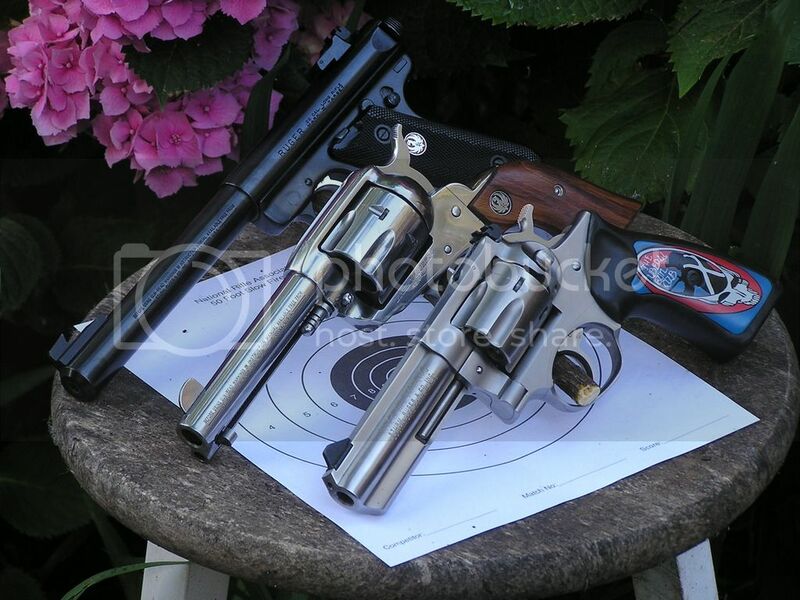 Very nice looking Ruger pistols - thanks for sharing. The Klown really did a nice job on that grip. Wait'll you see the Mauser B7 stock with the BobBee. He finished the paint and is now doing the top coat.